Being tall (5'9 1/2) maxi dresses have never been my favourite clothing piece to wear, because they are usually too short for me. This Pink Stitch maxi has so much fabric and is meant to be slightly shorter at the front so it works great for my body shape. 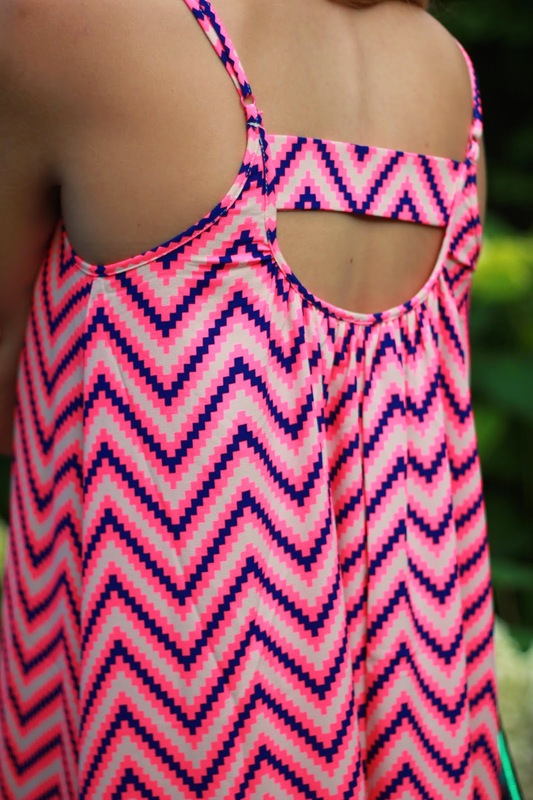 Not to mention the vibrant zig-zag pattern is perfect for summer and is a great show stopping piece.